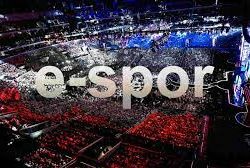 Electronic Sports, eSports (eSports, Electronic Sports, Competitive Game, Professional Acting, etc.) is called as a new form of sports and it is defined as a new field that is played individually and/or in teams with various game modes by competing over Computer/Console/Mobile platforms. Electronic Sports have both physical and mental characteristics and are performed in digital/virtual environments. Compared with traditional sports, it doesn’t require huge financial resource in terms of facilities and equipment. It has the opportunity to be played in every part of the world and it is competitive both individually and in teams. Because of all these reasons it is seen as a new generation sports preferred especially by young mass. Digital games are a primary information product and service developed by cultural workers and aimed at final consumers. According to the Global Gaming Market Report of 2016; global game industry revenue is 99.6 billion dollars. Mobile game market share is 36.9 billion dollars. Asia-Pacific dominates 47% of the markets. All of China’s global gaming industry is seen to have a one in four. It is estimated that with 6.6 percent annual growth rate Global game market will be 106.5 in 2017; 112.5 in 2018 and $ 118.6 billion in 2019 and the mobile gaming market will reach 52.5 billion dollars. The leader of the $ 3.2 billion global games industry in the Middle East-Africa regional markets is stated to be Turkey. According to the Turkish Game Sector Report, there are more than 20 thousand Internet/console cafes in Turkey in 2016 and these cafes are visited by more than 7.5 million players every month. There are approximately 29.3 million active players in Turkey and these players devote seventy percent of the time they spend at the PC to the games. When we look at the total time spent on the games, Turkey is the third following Poland and Russia. In Turkey the total revenue from games is 755 million dollars. This amount appears to be 464 million dollars in 2015. 332,5 million of the total revenue was derived from mobile games and the rest was from pc/console games. The eSports industry, one of the most important parts of the gaming industry in Turkey, continued to grow in 2016. Big clubs like Galatasaray, Beşiktaş and Fenerbahçe joined to the existing eSports teams as well. Increasingly, even development companies are locating in cities where other advantages are outweighing the locational costs. 09 Kasım 2017’de Çin Şanghay’da, Şanghay Spor Üniversitesi’nde (SUS) düzenlemiş olduğu, IASE Genel Kuruluna aktif katılım sağlayarak, 2020’den sonra gelecekteki IASE Uluslararası Konferansları için bizlerin sunmuş olduğu öneri üzerine; konferans başkanı Dr Joel MAXCY’ in, Seul, Güney Kore ve İstanbul’da yapılabilecek etkinlikler üzerine yoğunlaşacağını deklare etmesi ve İstanbul’un sonuç bildirgesinde yer alması (Minutes of the IASE General Assembly in Shanghai, China 09 Kasım 2017) bizler için bu konferansın en önemli kazanımı olmuştur. 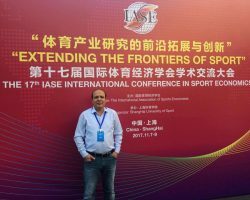 Çin, Şanghay Spor Üniversitesinde, Uluslararası Spor Ekonomistleri Birliği tarafından düzenlenen da 17. 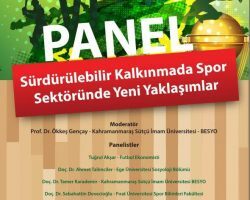 Uluslararası Spor Ekonomisi Konferansı ; Yükselen Spor Endüstrisinin; üretim ve organizasyon olarak, sadece batının ekonomik sistemlerine (Avrupa, Amerika) ait olmadığı, doğunun ekonomik sistemlerinde de, (Çin, Asya ) önemli bir yere sahip olduğunu bizlere göstermiştir. Bizlere düşen görev ise, son yıllarda gelişen Spor Eko Sistemlerinde Türkiye’nin yerini tespit etmek, spor endüstrisinin ve teknolojilerinin ülkemizde de gelişimine katkı sağlamaktır. We know that sportive services, products, institutions and organizations are also affected in all stages of advancing science and technology. 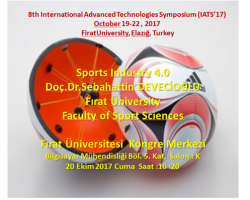 Being the oldest and indispensable institution of the history of humanity; sports is affected by the developments of the fourth industrial revolution today. We witness developments in sports technologies and the use of new technologies, facilities, applications, technics, and strategies in Olympic games that are organized in every four years with industrial developments in the world. The fact that sports centers upon human and society causes it to use and get affected by the developments in science and technology much earlier. Today, a number of products and services within the sports industry are easily associated with new technologies and besides, sports institutions and activities inspire with and contribute to the development of new technologies. In the XXI century most human activities, including sports, are becoming more and more technological. Engineering in general and Information Technology in particular are becoming an important support for many activities directly or indirectly related to sport sciences, including improvement of physical activities, sports medicine, biotechnology and nutrition, sports management, and all imaginable application areas in sports. 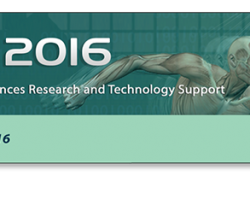 This congress intends to be a meeting point of both academics and practitioners, in order to exchange ideas and developed synergies.icSPORTS 2016 will be held in conjunction with NEUROTECHNIX 2016. 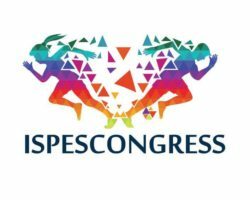 Registration to icSPORTS allows free access to the NEUROTECHNIX congress (as a non-speaker).